There are three levels for HAZWOPER training as listed in the OSHA 1910.120 regulations. The first level for pertains to emergency response. The second level is clean up of contaminated hazardous waste sites and the last level pertains to the treatment, storage and disposal (TSD) of hazardous waste. Within these 3 categories are various job functions and training requirements. Each of these levels offer HAZWOPER certification for the different job functions. HAZWOPER training requirements for first responder operations level appear under 29 CFR 1910.120 (q)(6)(ii), which indicates a minimum training duration and outlines topics to be covered (competencies the worker must acquire). Training that is relevant to the required competencies counts toward the minimum time requirement, even if the training is provided as a separate course. For example, training on HAZWOPER PPE that will be used during patient decontamination activities may be applied towards the 8-hour minimum first responder operations level training requirement, regardless of whether the training is conducted as part of a specific HAZWOPER training course or as part of another training program. 29 CFR 1910.120(q) specifies first responder awareness level training requirements. An initial amount of training is not specified, but an annual refresher is required. 1) Understand what hazardous substances are and their risks in an incident. 2) Understand potential outcomes of an emergency with hazardous substances. 3) Recognize hazardous substances in an emergency. 4) Understand the role of the first responder awareness individual. 5) Notify the communication center appropriately. The 29 CFR 1910.120(q) specifies first responder operations level training requirements. OSHA requires first responders at the operations level to be trained to respond in a defensive fashion without trying to stop the release. The training program for first responders at the operational level must enable them to contain the release from a safe distance, to keep it from spreading, and to prevent exposures. The amount of HAZWOPER training required for first responders at the operations level is at least 8 hours initially with an annual refresher thereafter. The 29 CFR 1910.120(q) specifies HAZWOPER HAZMAT technician training requirements. The training received by HAZMAT technicians must enable them to assume a more aggressive role than a first responder at the operations level in that they will approach the point of release in order to plug, patch, or otherwise stop the release of a hazardous substance. Therefore, OSHA requires HAZMAT technicians to receive at least 24 hours of training in addition to the First Responder Operations training requirements to receive a HAZWOPER certification. An annual refresher is also required. 1) Implement the facility’s emergency response plan. 2) Use field survey equipment. 3) Function within the Incident Command System. 5) Conduct hazard and risk assessments. 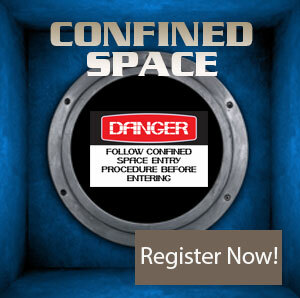 6) Perform advance control, containment, and confinement operations. 8) Understand and use proper termination procedures. 9) Understand basic chemical and toxicological terminology and behavior. The 29 CFR 1910.120(q) specifies HAZWOPER HAZMAT specialist training requirements. 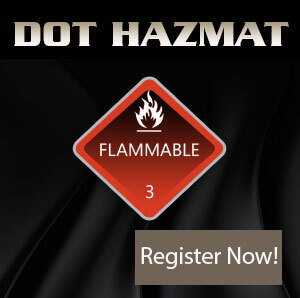 The training received by HAZMAT specialists must enable them to have a more directed or specific knowledge of the various substances that they may be called upon to contain and allow them to act as a site liaison with Federal, State, local, and other government authorities in regards to site activities. OSHA requires HAZMAT specialists to receive at least 24 hours of training equal to the technician level and have competencies in certain disciplines. An annual refresher is also required. 1) Familiarization with the local and State emergency response plans. 2) Use of the site safety and control plan. 3) Application of in-depth hazard and risk assessment techniques. 4) Knowledge of chemical, radiological, and toxicological terminology and behavior. The 29 CFR 1910.120(q) specifies HAZWOPER on-scene incident commander training requirements. The training received by incident commanders must enable them to implement all applicable emergency response plans and control and manage the incident. Therefore, OSHA requires incident commanders to be trained at least to the first responder operations level. In addition, incident commanders must be able to implement and run the Incident Command System and facility emergency response plan, and be familiar with the local State emergency response plans and the Federal Regional Response Team. An annual refresher is also required. Without question, this is the largest number of people requiring HAZWOPER training. This may change as the contaminated sites are slowly remediated. These contaminated sites are placed on the National Priority List (NPL) by the U.S. Environmental Protection Agency (EPA) and are schedules for clean up. The responsible party as identified in the EPA regulations – usually the site owner or past occupant must pay for the clean up cost. General site workers may receive these types of training: 40 Hour HAZWOPER, 24 Hour HAZWOPER, 8 Hour Annual Refresher, and HAZWOPER 8 Hour Site Supervisor. The HAZWOPER standard is performance based and the type of training will need to meet the job function. For the HAZWOPER training titles listed, the 40 hour course is designed for workers who are exposed to hazardous materials above the OSHA Permissible Exposure Level (PEL). Once work conditions exceed the PEL, respiratory protection is required. 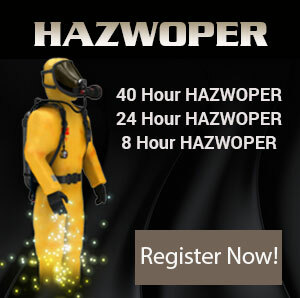 For the 24 hour course, this is designed for workers who have a temporary or short work task at a HAZWOPER site. Usually, these workers are not exposed to hazardous substances or materials above the PEL and no respiratory protection is required. An 8 hour HAZWOPER refresher is required for both the 40 hour and 24 hour HAZWOPER designations. Failure to receive the annual refresher can involve the lapse of certification and associated non-compliance status from OSHA. HAZWOPER regulations also require that at least one person per work group have the 8 hour supervisor training. The incident commander training is usually reserved for emergency response but can sometimes be invoked for a general site cleanup. OSHA requires all employees who work on site and are exposed to hazardous substances, health hazards, or safety hazards to receive 40 hours of initial training and an annual refresher of 8 hours thereafter. 1) Names of personnel and alternates responsible for site safety and health. 2) Safety, health, and other hazards present on site. 3) Use of personal protective equipment (PPE). 4) Work practices by which the employee can minimize risks from hazards. 5) Safe use of engineering controls and equipment on the site. 6) Medical surveillance requirements, including recognition of symptoms and signs that might indicate overexposure to hazards. 8) An emergency response plan. 10) A spill containment program. There is a 24 Hour HAZWOPER training requirement for workers involved in hazardous waste operations and an associated 8 Hour HAZWOPER refresher. 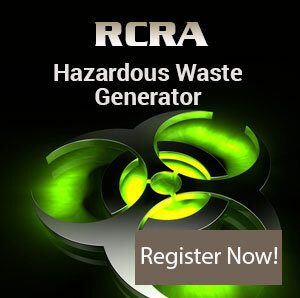 This work typically consists of managing and handling Resource Conservation and Recovery Act (RCRA) hazardous wastes. EPA has regulations that declare a waste as a hazardous waste. The 29 CFR 1910.120(p) specifies HAZWOPER TSD training requirements. OSHA requires all employees who are exposed to health hazards or hazardous substances at TSD operations to receive HAZWOPER training that is part of the employer’s safety and health program. This HAZWOPER training program must enable the employees to perform their assigned duties and functions in a safe and healthful manner so as to not endanger themselves or other employees. 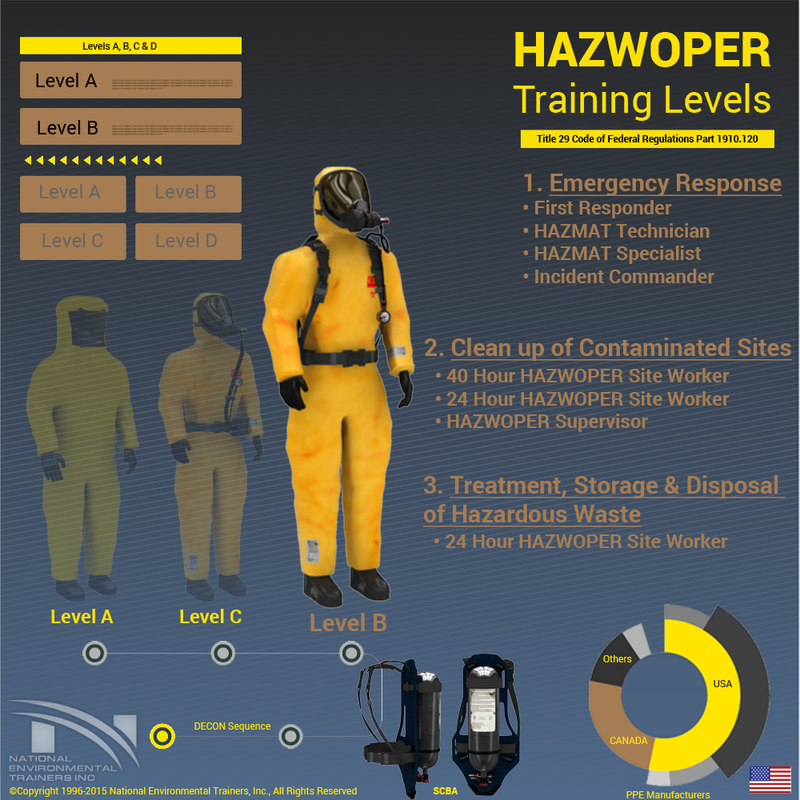 Please visit the following link for infographics on the HAZWOPER training sequence. Note: OSHA Plan States may have different HAZWOPER training requirements. These requirements must be at least as stringent as the Federal OSHA requirements. 40 Hour HAZWOPER Training: Who Needs It?